Andreas Werb has been with leading Media Groups as Chief Editor and Managing Director for almost 20 years. He then joined the Board of a listed Venture Capital Company and took over the CEO Position. He also served as a member of various Advisory Boards. Since founding Werb Consulting in 2000, Andreas has carried out numerous search projects at senior management level in Germany and internationally. Andreas Werb was picked as one of Germanys Top-100 Headhunters in a cover story by the leading German Business Magazin “Wirtschaftswoche” (Business Week). Today he lives and works in Switzerland. He conducts domestic and international searches. Andreas Werb on his change from Media and Venture Capital-Business to Headhunting. 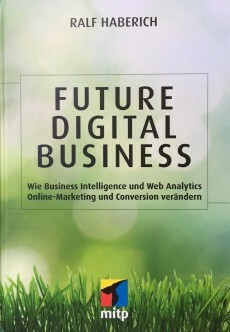 How Business Intelligence and Web Analytics change Online-Marketing and Conversion. Interview with Andreas Werb and two other Headhunters on Careers and the Market of Web Intelligence.